Update 12/04: ‘Tati’ has been operated on successfully this week in Barcelona by Dr. Jordi Font, confirmed by the rider himself on Twitter. 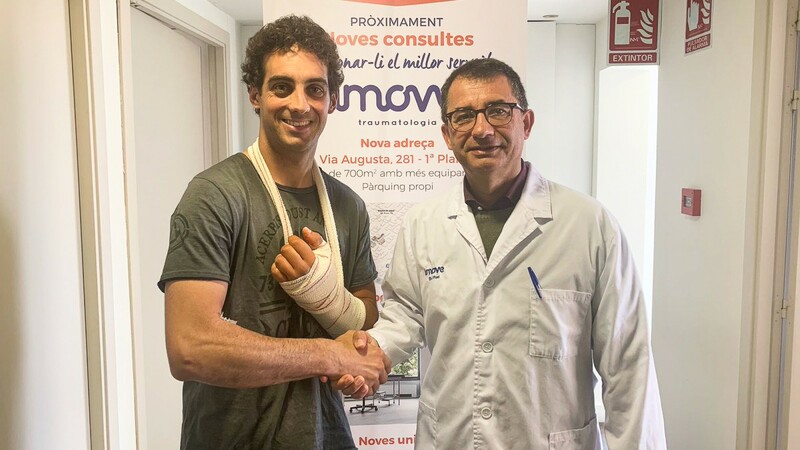 Now Mercado starts his road to recovery, which the Argentinean hopes will lead him back onto the tarmac for the Pirelli Italian Round in May. 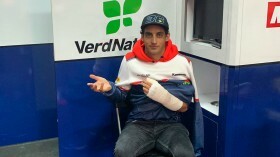 Finally, the injury that ruled out Leandro ‘Tati’ Mercado (Orelac Racing VerdNatura) from the final races of the Motocard Aragon Round will require a visit to the operating table, as the Argentinean rider prepares to go under the knife on Wednesday to fix a scaphoid fracture of the left wrist. Mercado will be in the good hands of Dr. Jordi Font, at the Tres Torres medical clinic in Barcelona, when he undergoes surgery tomorrow. The estimated recovery period for this kind of injury is one month, which sadly means that the 27-year-old will have to miss this week’s Motul Dutch Round. The upcoming Pirelli Italian Round, scheduled for mid-May at Imola, will be marked in red on the Spanish team’s calendar. The injury occurred inside the opening lap of Race 1 from the Motocard Aragon Round, when Mercado was launched from his bike after an unfortunate incident with another rider. Follow every update from the World Superbike championship thanks to WorldSBK VideoPass. Mercado: "I’m really happy to be in Superpole 2 after trying all year"